When it comes to the Mining Sector – experience is key! When you’re looking for a rope access team for your next mining or offshore project, you want a team with experience. You want IRATA Level 3 supervisors who have been there and done that. Because it’s only through exposure to the unique challenges presented by these projects can technicians know exactly how to safely and efficiently overcome them? Proper experience paves the way for accurate planning, which ultimately means you get projects delivered on time and on budget. Our Team will do all your projects on time and well within budget. Our Company delivers every time. Call for Estimations, Quotes, or any questions you might have about your project or our work. Always know you can trust All Tech Coatings. We take safety and our workmanship to the next level. Industrial rope access is high-risk work, but when carried out by well-trained teams with the right planning and the right management systems in place it is one of the safest and most economical means of access to elevated or confined space areas. Our comprehensive WHS management system, quality management system and environmental protection plan combine to ensure our rope access technicians deliver exceptional results in a timely and safe manner. 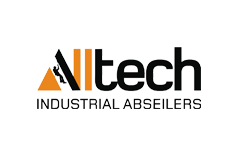 Upon contacting Alltech about a quotation for our services, you will be provided with all the necessary documentation including SWMS’s, staff training & induction records, plant & equipment registers, making compliance a breeze. Alltech team members have experience on a vast array of mining and offshore projects from concrete and aluminium plants in Gladstone, to offshore oil platforms in Western Australia and Singapore. Whether you are conducting a shutdown, NDT inspection or simply require specialised tradesmen with IRATA qualifications, we are waiting to assist you. Call Now to discuss your mining or offshore rope access needs., on 1300 786 583. Alltech Industrial Abseilers offer a complete range of Industrial and Commercial Abseiling Services in Brisbane, Gold Coast, Sunshine Coast and Toowoomba. Get in touch to learn more today.